If you experience loss of vision, double vision, swelling, infection or any eye emergency, contact your Akron eye doctor immediately for guidance. We’ll help you with the best treatment to prevent complications and promote long-lasting clear eyesight. Please call our office at: 330-752-6888 for further instructions and to verify your insurance. Use your best judgment on urgency, if you feel your need to find the nearest emergency room. Why Choose Dr. Miller For Your Emergency Eye Care? Dr. Miller is the right choice for all eye emergencies. Our independent optometric practice, located inside a Lenscrafters, serves patients from Akron and Cuyahoga with the highest quality emergency care available. Our eye care clinic has invested in some of the most advanced diagnostic technology such as the Optos Optomap, an ultra wide field and high definition retinal camera which give our eye doctor a complete view of the retina allowing for more accurate diagnosis and treatment. Our practice accepts urgent care patients 7 days a week, so you can rest assured that your eye emergency will be taken care of quickly. The first thing to do when you have an eye emergency is to take a moment to calm down. Eye emergencies are extremely common and rarely lead to permanent vision loss when seen by and eye doctor in a timely manner. Our optometrist has extensive experience with emergency eye care. Whenever dealing with an eye emergency it is important to assess the situation, there are certain situations that require immediate medical attention. If you have an item lodged in the eye such as a piece of metal or glass, sever bleeding, sudden total vision loss, a deep cut, or intense eye pain we recommend going straight to the nearest emergency room or urgent care facility. If there is something lodged deeply in the eye do not attempt to remove it. In most cases the emergency is not clear cut, please give us a call and our friendly staff and eye doctor will be happy to advise you on what needs to be done. Most eye emergencies can be taken care of at our optometry practice located inside of Lenscrafters. Our eye doctor has advanced technology and extensive experience that makes visiting his practice preferable in many cases over visiting an emergency room or urgent care facility. It is extremely common for children to have eye emergencies. Common eye emergencies for children include: eye infections/pink eye, styes (resembling a pimple on the white of the eye or elsewhere on the eye), scratches or cuts on the eye, and things stuck in the eye like dirt or sand. 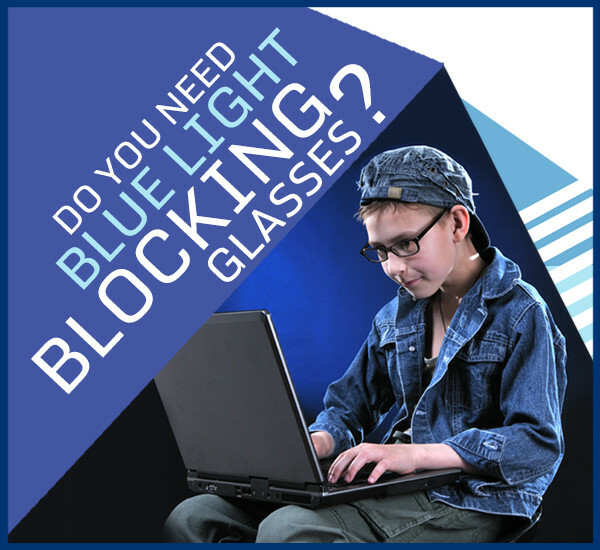 Children are also prone to accidents causing trauma in or around the eye such as a black eye or swollen eye as well as broken glasses or stuck contact lenses that get lodged in the eye. For toddlers that are experiencing an eye emergency it may cause stress as the parent is unable to effectively judge the severity of the pain. What are some of the tools we have to help you in an eye emergency? For scratched eyes, we need to have the patients come in to take a look at the cornea and make sure it heals properly. For an eye infection, you want to limit the infection, makes your eyes healthy and comfortable as soon as you can. Our optometrist recommends an emergency eye exam using the optomap, which provides a wide angle view of the retina in the back of the eye to check for retinal detachments, holes, tears, floaters etc. No need to rush to your primary care physician if you suffer from red, sore eyes or suspect that you have an eye infection. Your Akron optometrist, Dr. Ty Miller, can treat these issues and help bring you relief.